Großartiges Hostel! Die Lage ist super, das Hostel ist sehr sauber und die Mitarbeiter sind super freundlich und hilfsbereit. Jederzeit wieder! Super Lage!! Mir den diversen Aktivitäten und gemeinsamen Abendessen und dem Frühstück ein super Ort um - besonders wenn man alleine reist - neue Gesichter kennenzulernen. Sehr freundli hea Personal. Obwohl kleines und minimalistisches Zweierzimmer und harter Matraze, für alle Backpacker empfehlenswert! The room I stayed in was quite big for a London hostel. The staff really made an effort to keep the rooms and facilities clean. Location is also a plus. I liked that the rooms where the showers were had windows and there was space on the windowsill to put your clothes. And I had no issues with the watertemperatur. The staff was very nice and they were really helpful and sociable. The downsides to me were: toilets would get clogged very often. And there were no shelves near the bed. Great hostel and lovely staff. Lots of nice little extras included (lock, power adapter, etc). The only thing which is bothersome is that the toilets clock pretty frequently and you will most likely have to use a pumper if you don’t want to bother the staff with cleaning up your sh*t. Otherwise great stay and great value for the money! 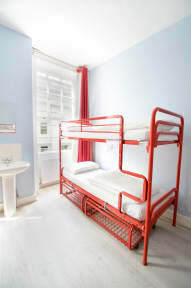 One of the best hostels in central London. Have stayed here multiple times and certainly will again! Best location, best staff and very secure! Big thumbs up!!! Sehr freundliches Personal, dass auf unsere Zufriedenheit sehr bedacht war. Das Zimmer hatte eine angenehme Größe. Nichts zu beanstanden, gerne wieder! The location was really good and the staff really nice. 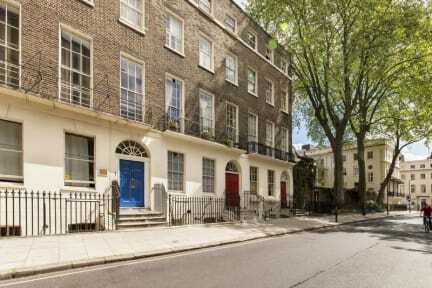 The Hostel is next to the British Museum ans not far from Oxford Street. Nevertheless the facilities were quite old, especially the toilets and showers and our room was okay.